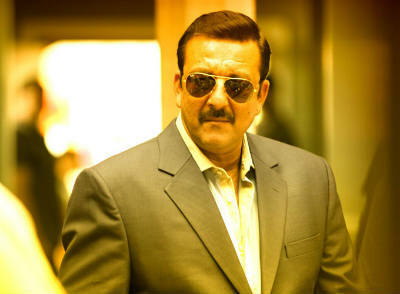 Sanju Baba may get cracking with his pending projects, but maintaining composure will hold the key! Son of the legendary Bollywood actors Sunil Dutt and Nargis Dutt, Sanjay Dutt has had a bit of a chequered career, and a less than pleasant brush with the authorities. Dutt, now 56, made his debut in Bollywood in 1981. Since then he has acted in over 100 Hindi films. Sanjay Dutt has tasted success in almost all genres ranging from romance to comedy, he stood out most prominently in the roles of gangsters, thugs and police officers, mostly in action films. He was dubbed as "Deadly Dutt" by mediapersons. 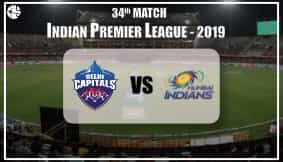 In his career, which has spanned more than three decades, Dutt has also earned two Filmfare Awards, two IIFA Awards, two Bollywood Movie Awards, three Screen Awards, three Stardust Awards, among others. In 1993, Dutt was arrested under the Terrorist and Disruptive Activities (Prevention) Act for illegal possession of arms. Charges of terrorism were levelled against him, of which he was later freed, but he was convicted for being in possession of the arms and sentenced to jail. After completing his term, Dutt was released on February 25 this year. Time of Birth: 15:00 Hrs. Major period and sub period of Saturn will be under operation for him till 25th February, 2017. After that the sub period of Mercury will rule till 5th November, 2019. Saturn will be transiting through his Ascendant till 26th January, 2017. After that, Saturn will be transiting through the 2nd House of finances and family. That's when the Shani's Adhaiyaa (A two and a half year period wherein Saturn transits in the 8th House from the Moon) will start. Jupiter will be transiting through the 10th House over Natal Venus and Mars till 11th August, 2016. After that, Jupiter will be transiting through the 11th House of gains. Rahu will be transiting through the 10th House of occupation over Natal Venus and Mars till 17th August, 2017. Moreover, it is to be noted that Jupiter and Rahu will be conjunct in Leo till August 2016. The stars indicate that things are likely to be uncertain for Sanjay Dutt in the year ahead. Difficulties and luck will go hand in hand for him. He will face some delay and problems from the government although he is free as Rahu will be transiting through the 10th house. This period ends on 17th August 2017. Though he has been set free, it is likely that he may face problems with the government or some highly placed authorities. He will have to avoid being rash and careless in his actions, as Rahu's transit through the 10th House may create unnecessary controversies and troubles for him. There are also great possibilities of some ego clashes taking place with even his co-stars and directors. Till 17th August, 2017, it is better Sanjay maintains a low profile and tries to give more importance to stability. 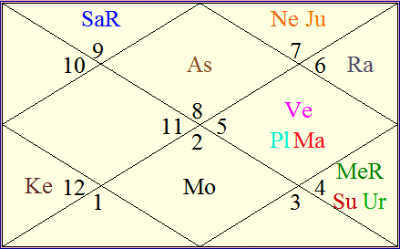 Ketu's transit in the 4th House may create an uncertain atmosphere at the home front Sanju Baba. His relatives and their health may demand his attention. His pending projects will restart and may gain more momentum after 26th January, 2017, till then he and his producers will have to remain patient. Due to the transit of Mars in the Sign of Scorpio till September 2016, he will be high on confidence and stamina, but on the flipside, he will be prone to temperamental issues as well! Thus instead of blowing his top, it will be better for him to maintain his cool and find solutions to problems. Hard work will be absolutely essential for him to achieve success and stability. As Saturn will be transiting through his Ascendant till 26th January, 2017, he will be tested thoroughly and he will have to persevere hard to achieve good results. He will also have to keep negativity at bay. Sanjay Dutt will get into writing too, indicate the stars. His writing endeavours may surface between 25th February, 2017 and 5th November, 2019. This may also create some buzz! He will have to take good care of his health post 26th August, 2017, as Saturn will be transiting over his Natal Saturn, which may have an adverse impact on his health and general well-being. He is also advised to handle his finances well, as there are chances of some wrong decisions being taken by him.